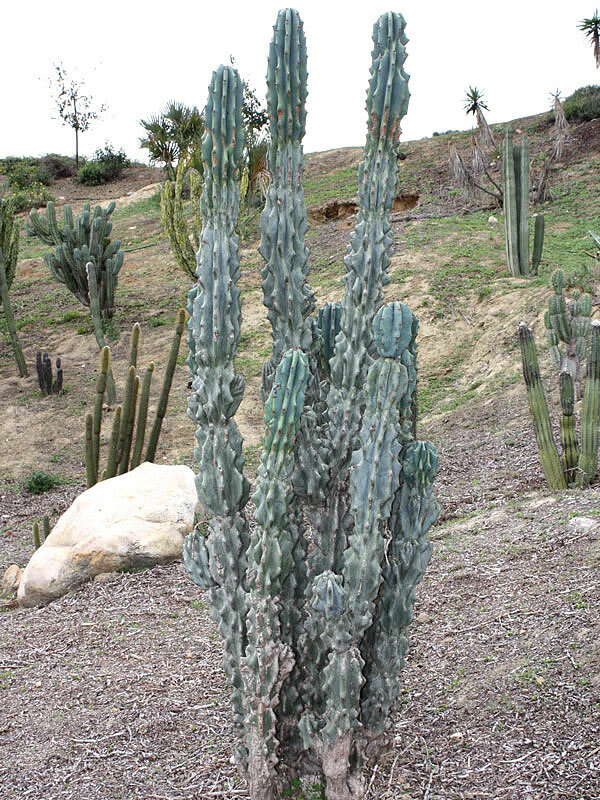 Monstrosus or the Blue Curiosity Cactus is similar to other Peruvianus except that it has the appearance of being all wrinkly wavy and folded up, over and against itself. Edible white fleshed, mildly sweet fruit with crunchy black seeds develop from the large ornate, creamy white, nocturnal flowers that bloom and last only one night. It is indeed a curious plant to grow and a must for the drought tolerant collection.